A delicate floral pattern enhanced with glitter. 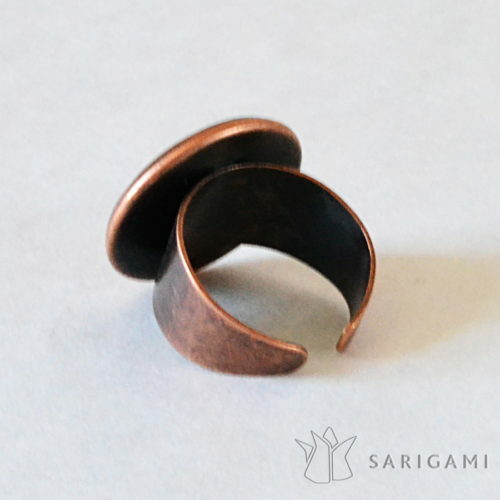 Each ring is handmade and unique. 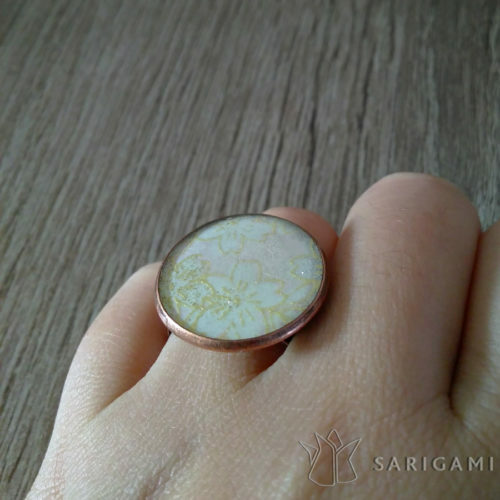 These rings emphasize the beauty of Japanese origami paper. The designs are resin coated. This protects the paper and gives them a lacquered aspect. The magnifying effect highlights the papers’ colors. 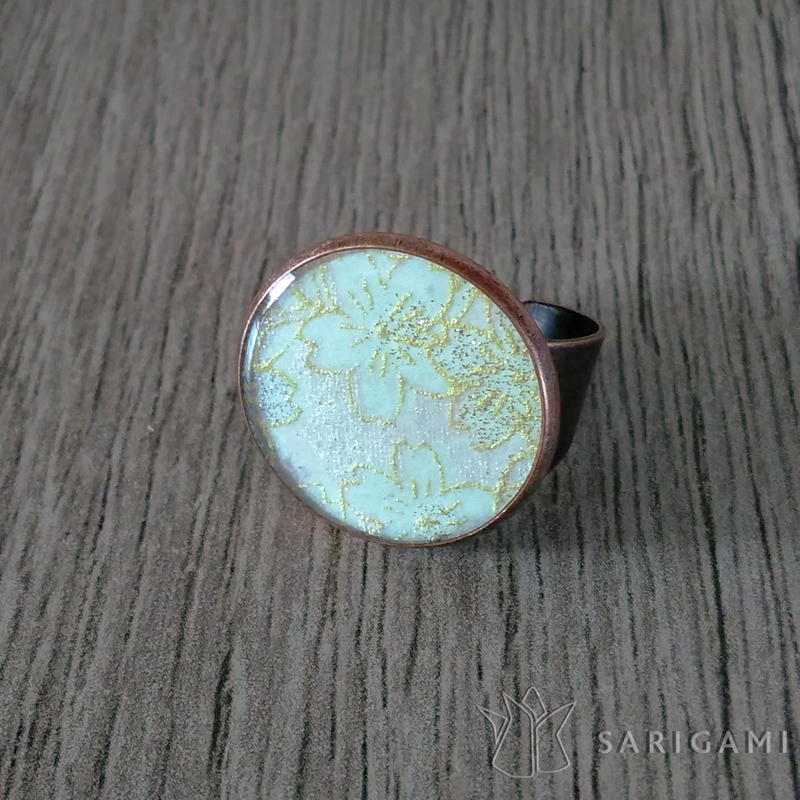 Adjustable copper ring, the pad decorated with the paper measures about 2 cm (3/4″). Washi paper imported from Japan. A layer of resin is applied to protect the paper and give the rings a lacquered effect.